Many baby boomers are experiencing a new definition of middle age. Life may not be the only thing you’re in the middle of—you may have found you’re also in the middle of caring for both your children and parents. You’re a member of the sandwich generation. One-fifth of Americans are providing financial support to a parent and/or an adult child, according to a 2015 Ameritrade study—spending an average of $12,000 over a 12-month period. One-third of the Americans who are providing financial support are also serving as a caregiver to another adult in their family. The weight of those dual responsibilities can be heavy. And the cost extends beyond finances. Juggling the emotional, logistical and financial aspects is no easy feat; but there are ways to make the process easier. So what’s a sandwicher to do? Wilson says you, as the primary caregiver, need support—and shouldn’t feel guilty about asking siblings for help with costs, hands-on care and spending time with their aging parent. Phyllis Goldberg and Rosemary Lichtman, two trained therapists who specialize in family transitions, note that while women tend to take on the majority of caregiving responsibilities—an estimated 66 percent of informal caregivers are women, according to the National Alliance for Caregiving and the AARP Public Policy Institute—it shouldn’t just be the woman’s job. In their work consulting caregivers and writing about the struggles of the sandwich generation, they advise strengthening intergenerational relationships between aging parents and children to gain support. The seemingly nonstop demands on caregivers can be overwhelming, but getting your goals, projects and perspective in order can help. And it’s not just paperwork and deadlines that can pile up—if emotions get stuffed down, that can make caregiving difficult for the whole family. Goldberg and Lichtman recommend regular family meetings as a way to keep everyone on the same page. Talk about what’s going on and what to expect going forward. Set parameters so everyone knows their responsibilities and your limitations as a dual caregiver. 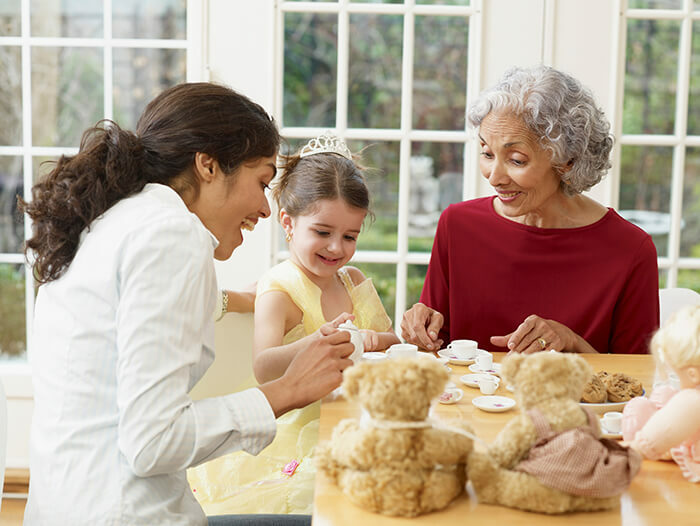 This allows you to create a framework for communication and conflict resolution, they say, which benefits everyone and encourages the whole family to become actively involved in the caregiving plan. “It’s the same no matter what age your kids or parents are; families get stronger the more they learn to grow and move forward together,” Goldberg says. Dual caregiving can be expensive. Even though Medicare can be a great place to start when looking for health insurance for seniors, the program doesn’t cover everything. For those needing home care or requiring surgeries, medical equipment or medications, bills can quickly stack up. “A lot of sandwichers get in the mindset that Medicare is there as a safety net for their parents, but they realize they are the only financial support for their kids and then get anxious about not providing for their kids,” says Kathy Birkett, co-founder of Senior Care Corner, a network to provide support and insight for those caring for senior adults. She believes a crucial step is to look for available funding outside of Medicare. Check with a local office on aging or visit benefitscheckup.org to find out what benefits are available—there are programs that cover a range of needs, from nutrition to assistance with heating and cooling bills.